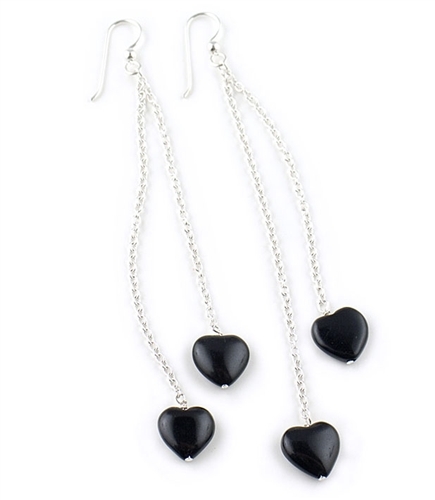 two 10mm black agate hearts dangling from sterling silver chains. Earrings drop 11.50cm / 4.5"
An elegant pair of designer earrings easy to wear all day. Also makes a great gift idea for a loved one. Available exclusively in the UK from the Farfallina.net.